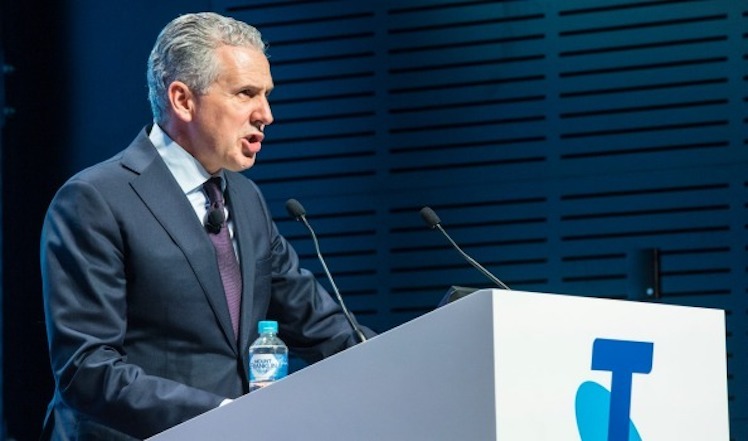 Each part of Telstra CEO Andy Penn’s dramatic company overhaul – which involves shedding 8,000 jobs and major technology and infrastructure changes – will be difficult to implement on its own. Attempting them all at once is crazy-brave, writes Michael Sainsbury. AS THE late (of Telstra) and unlamented Solomon D. Trujillo was so fond of saying, “We’ve seen that movie before”. And so it was, when Andy Penn, the man who succeeded successor David Thodey, announced to financial markets on June 19 he would slash, burn, simplify and restructure the Telco giant and focus on a market leading mobile rollout, it was like the ghost of Sol Trujillo, who would never lead a company after Telstra, was once again stalking its halls. We have, indeed, seen this movie before. In 2011, Elop issued his now famous “burning platform” email. Using the example of a North Sea Oil worker leaping of a burning, sinking rig, he explained that a company and its employees can either cling onto a burning platform (or broken business model) and perish, or jump into the water and survive by changing behaviour. 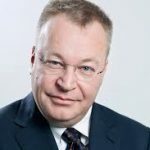 It’s apposite that Elop is now a senior Telstra executive and whether he had any influence or not (my guess is yes) over the dramatic overhaul of Australia’s biggest telco, announced by his boss Andy Penn on June 19, it was certainly textbook burning platform stuff. The company’s share price is now $2.71, its lowest point in seven years having had lost about 60 per cent of its value on Penn’s watch. The entire industry is losing revenues to so-called “over the top” players in social media, especially in mobiles. For instance, voice (and now video) calling on WhatsApp, Skype or Facebook Messenger is rapidly replacing traditional, paid-for calls. The headlines of Penn’s plan are, firstly, the human side; sacking 25 per cent of the company’s staff, much of it a clean-out of the company’s famously well-paid and cosseted middle and senior management – whose expense accounts often match their take-home salaries – as part of an accelerated cost-cutting program, that promises to take an extra $1 billion out of the company during the current program between now and 2022. This has lead to so many crocodile tears from the stonkingly well-remunerated Penn to the Prime Minister himself. “Heartbreaking,” said the man whose complete stuff up of the NBN is certainly behind at least some of the job cuts. It’s unclear whether he meant, in fact, the job losses of the benighted NBN itself. Then there is the overdue structural separation — the carving out of its fixed and data-centre assets into InfraCo as a stand-alone company with its own chief executive. It has been dodged by Telstra management and government ministers for decades and, if done earlier, could have obviated the NBN mess, part of which, ironically enough, has forced Penn to do what he has done. InfraCo will be a stand-alone infrastructure unit with $11 billion of assets, about $5.5 billion of revenue and about $3 billion of EBITDA, Macquarie’s veteran Telco analyst, Andrew Levy, has noted. Then there’s something also overdue but early quite refreshing; an unprecedented reduction of retail connectivity plans for its customers, from a bewildering 1,800 to low single digit. It’s taken veteran Optus marketing import, Vicky Brady, to come up with that one. That should also reduce a bunch of IT headaches but clean up sample telco plans. Well, that would be a first from an industry who has made customer confusion a centrepiece of its strategy to retain them. It’s always been impossible to compare apples with apples on mobile plans, for instance. But perhaps the easiest to execute piece of core business is the accelerated investment and deployment of game-changing 5G mobile technology. 5G will be a steep change in capacity on mobile networks, the main impediment to them competing with fixed-line broadband as well as increased speed. It is this that Telstra plans to use as the centrepiece of a strategy known as mobile bypass (of the NBN network) that is the key to the company’s success in nailing down fixed-line mobile revenues and market leadership in the so-called Internet of Things, where millions of everyday devices are connected to the internet for monitoring, security, billing and myriad other efficiency-driving applications. Penn noted that Telstra already has a prototype 5G network operating on the Gold Coast and will be very keen to gazump the Optus 5G launch, planned for early 2019. FY19 guidance soft on re-base: FY19 EBITDA guidance of $8.7-9.4 billion is pre-$600 million of restructuring charges and includes $1.8-1.9 billion of net NBN one-off payments. This implies $6.8-7.6 billion in pre-NBN EBITDA, which is well below pre-update expectations, and $0.9-1.7 billion or 11-20 per cent below FY18 on the same basis. No FY19 dividend guidance was offered, but the capital management policy is unchanged. We now see dividends cut to 16cps from FY19, largely reflecting lower earnings. We currently only have 63 per cent of NBN one-off payments being repatriated vs. guidance of 75 per cent, which reflects a conservative approach to balance sheet management. It is possible Telstra’s debt capacity could lift if InfraCo is demerged in the future. Cost-out targets lifted: To fund its revenue hole, Telstra lifted its targeted fixed cost reductions from $1.5 billion to $2.5 billion by FY22, and expects flat or lower total costs despite incurring $1.5 billion+ of AVC/CVC costs over that horizon. Cumulative fixed cost reductions through to June 2018 will be around $730 million, implying a further ~$1.8 billion to come as part of these programs. Telstra announced an 8k reduction in FTEs over the next three years. Any one of these things is a major project. To attempt it once puts Penn in the category of crazy-brave. In fact, one could argue that Telstra – or rather traditional telecommunications companies – have been slow-burning platforms since the introduction of competition and more importantly, the emergence of the Internet and that neither peripatetic deal-making nor studied incrementalism will no longer do. If they did sometimes work, they no longer do. Elop’s bid to overhaul Nokia came too late. By 2010, Apple’s iPhone was streeting the field, Steve Jobs was still at the helm and Samsung would come from the other side and destroy the Finnish phone maker, only three years earlier the clear market leader. Telstra doesn’t have the same competitive pressure as electronic device makers and infrastructure investments take longer to build and competition longer to take hold. Wars take longer to play out than those in the retail business. While having an Investor Day to lower guidance and dampen expectations with a promise of taking a wrecking ball to the company and rebuild a, simpler more flexible one is certainly a brave way of clearing the decks for a fresh start to the next financial year, the timing now looks serendipitous coming days after the stunning Optus World Cup soccer-streaming debacle. Penn’s job, and indeed those on his board, who set the company’s strategy, are clearly on the line. But it should be encouraging for investors who themselves have missed their opportunity to sell or who can see the potential in the strategy and are happy to settle in for the long term, that they are not going down without a fight. Penn’s biggest problem at a company like Telstra, arguably unique amongst Australia’s storied blue chips, is that internal vested interests have been entrenched over generations and are loyal to a network of internal mini-empires. They, too, will not go down without a fight. Expect plenty of any anti-Penn stories being leaked out, as they try to staunch the employee bloodbath.